Boeing, the company trying to sell billions worth of commercial airliners to Iran, is one of the largest beneficiaries of U.S. taxpayer-funded government contracts and federal loan guarantees. 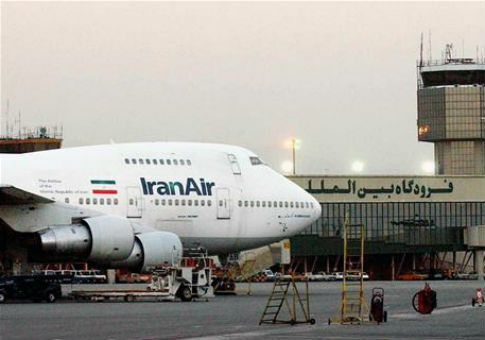 The U.S. government is the only force standing between Boeing and a deal to sell roughly 100 aircraft to Iran’s state-owned Iran Air, which would bring as much as $25 billion to the Chicago-based aircraft manufacturer. If the deal goes through, Boeing would become the first large American company to take advantage of the removal of U.S. sanctions on Iran as a result of the nuclear accord finalized one year ago. The deal is being challenged by congressional lawmakers, who last week approved two measures aimed at preventing Boeing from selling airliners to Iran. Boeing has received tens of billions from Defense Department contracts over the years, and has consistently been one of the top beneficiaries of U.S. taxpayer dollars. The Boeing Company received $16.6 billion in federal government contracts within the last fiscal year, making it the nation’s second-largest contractor after Lockheed Martin, according to federal procurement data.